Choose a trusted provider of collision repair services for Zanesville and surrounding communities by choosing Dutra Collision Center. 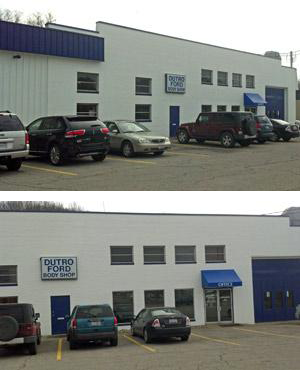 Rest Easy when you bring your vehicle to Dutro's body Shop. We're here to take the hassle and frustration out of the auto repair process. We guarantee to provide the best work and answer all your questions through every step of the repair process. We use CCC Pathways Estimating Software Systems, which allows us to communicate electronically with Insurance companies. A computer generated estimate also ensures accuracy and integrity when restoring your damaged vehicle.